Lies, damn lies and statistics. -- It's a mantra used by people who don't accept the conclusions somebody else draws from statistics. Today it is my mantra. Here is a statistic: Since 2005 there has been a remarkable eightfold increase in psychiatric prescriptions among our active duty troops. An incredible 110,000 soldiers are now taking at least one psychotropic drug, many are on more than one, and hundreds die every year from accidental overdoses. 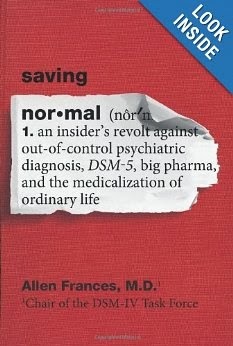 Allen Frances uses this statistic (and I do not dispute the fact) in support of his contention, that normal people are being misdiagnosed, and hence overmedicated for mental illness. The suggestion is that normal soldiers are put on dangerous psychotropic medications that they do not need. Well, let's put to one side the implied accusation of nefarious, or at least incompetent conduct by medics and their commanders, and instead look at some facts. The context for Allen's statistic comes from the history of military policy toward mental illness. Brett Schneider, MD, et. al. 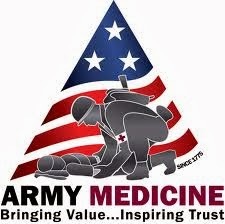 trace the medication side of the story in this textbook used by the US Army Medical Department. Cutting to the chase, the Afghan/Iraqi War (aka Operation Iraqi Freedom -- OIF) is the first war in which US soldiers are treated with long term psych meds at the front. ...in the fall of 2006... the Department of Defense developed criteria for psychiatric medications used in deployment. You can find the details and full text in the link. The upshot is that in wars prior to the current conflict, psychotropic medication was used only in the short term and for emergency management. Soldiers in need of long-term medication were evacuated from the theater. Today, soldiers diagnosed with depression and anxiety disorders are treated at the front, including with the use of medication. For people who know how research works: Frances' statistic says nothing about his thesis, because his sample population changed (in exactly the time frame he cited). At the front, you have a bunch of soldiers which we will compare to a truck full of fruit. (Look, this is Prozac Monologues, and I have to use language like this once in a while. It's in my contract with my readers.) 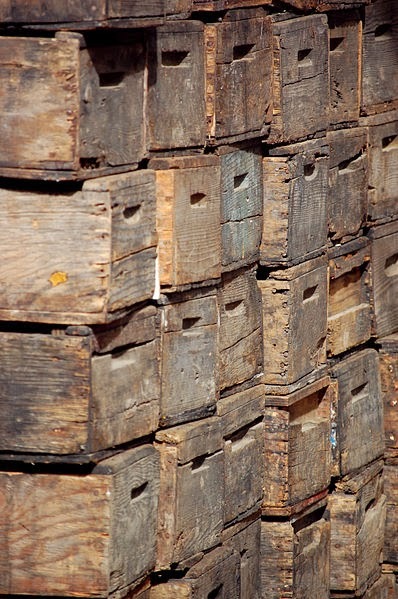 At first, all the fruit is in boxes, and we don't know what we have. Then the truck hits an IED, overturns, and dumps the boxes. Now we can sort them. When the apples are thrown from the truck, they are bruised. They get picked up, evaluated, patched up as necessary, and then they return to their posts. Apples, even if bruised, remain in active duty. The pineapples, those whose legs got blown off, get emergency treatment and are removed from the fruit truck, the front. There are no pineapples in active duty. The bananas, those with psychiatric symptoms, have a different story. It used to be the bananas were pulled to the rear, where they could rest, get short-term treatment, and return to their units. Remember that episode of M*A*S*H* when Hawkeye went a bit bonkers over a dead "chicken," was taken to a hospital for a few weeks, where he talked to Sidney a lot, got better and returned to the 4077th? Before this change of policy in 2006, if soldiers didn't get better in the short term, they were discharged. There were no bananas in active duty. So when Frances counts the number of bananas on the truck, he finds the census has gone up since 2005. That is because they used to be removed, and now they are not. No, nobody is spray-painting apples yellow and then dosing them up on drugs. It disturbs me to find Frances playing fast and loose with his data. I caught this one, because I have followed military and mental health issues for a while now. But what have I not caught? -- One of three major issues I have with this celebrity shrink to whom I keep returning. Should Soldiers with Mental Illnesses Be Treated At The Front? Meanwhile, there are other questions worth asking. Is this change of policy, to treat so many soldiers with mental illness at the front, a good idea? Retired Col. Elsbeth Cameron Richie explored this question at a conference called Brain Matters, sponsored by the Cleveland Clinic in 2012. It's an hour long presentation that lists, rather than resolves, the issues, including: what is good for the soldier's health, what is good for the soldier's career, his/her willingness to seek treatment, the needs of the unit, the needs of the nation, the relationship between the economy and the all-volunteer armed forces... Then there are confidentiality issues, combat readiness, stigma, the structure of the disability process with its incentives and disincentives, the distribution of resources, and alternative treatments. Citing suicide rates of 22 veterans each day, the impact of accumulative blast injuries (the signature injury of the current conflict) and the current pattern of multiple deployments, Richie acknowledges that Command is again evaluating how best to treat mental illnesses among the troops. I recommend the video below. It is dense, but well worth the effort to understand the challenges facing those who deal with this aspect of military life and to gain respect for them, regardless of whether you reach the same conclusions. None of these people, the troops, the medics, the commanders deserve to be misrepresented and misused in Allen Frances' mission to Save Normal.